analytical articles from the leading political analysts, economists, sociologists and other scientific commentaries from famous publicists and social workers, as well as articles from bloggers, critics and comments from interested readers, including humor and entertainment events. 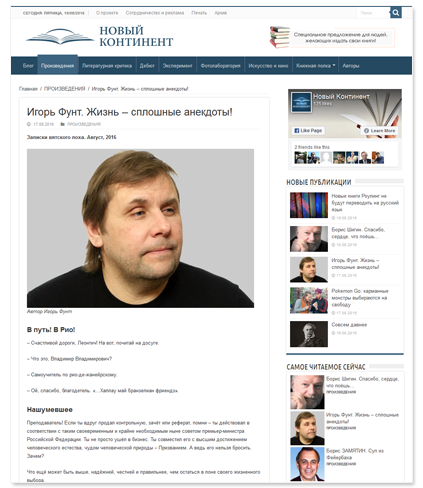 Many famous and young authors contribute to our site kontinentusa.com. Among our contributors are also science research and sociological centers, government, cultural and religious centers from all over the world. This is a tourism site that focuses on various aspects of tourism and tourism business. The site offers current news, educational and entertaining articles with practical advice and recommendations which help the readers in their planning of traveling and leisure. 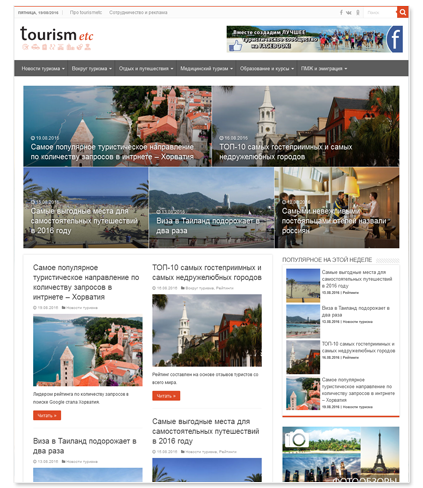 Tourismetc.com informs the readers about various countries and cities, flights and land travel, hotels and restaurants, resorts and sightseeing, medical questions, education about everyday life abroad, immigration, and many other tourism-related issues. 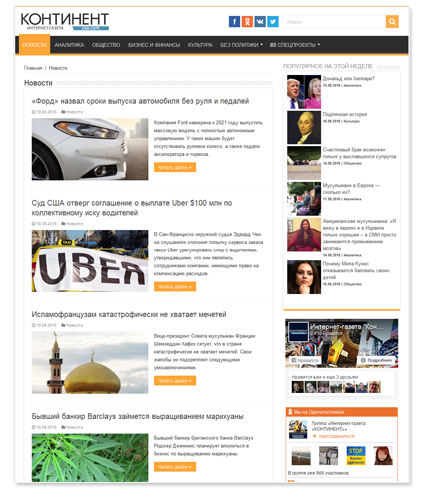 In addition, we attract our readers with our photo-reports, ratings, and tourist life-hacks! This is an almanac that covers art and literature. The site publishes works of various authors with different genres and styles for the most broad and demanding audience. Our editorial policy is aimed towards providing the readers with the maximum variety of literary works by authors from different countries, as well as with literary reviews and critique. “New Kontinent” publishes professional writers, as well as beginning authors. “New Kontinent” provides informational and organizational cooperation to publishers, authors, artistic projects and various contests. The site also offers original works of popular artists. Kontinent.org keeps an archive of all the years of our media group’s work.